Want to know where you can catch fish this week? Just zoom-in to the location pins on the Google Map above. Click on the location pin of your choice and read the up-to-date info. that tells you what species you can catch, what lures or bait to use, and how to use them. 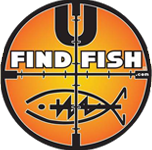 For additional hot-spots download our free UFindFish app on your iPhone, Android or Windows platform. I’ve placed over 1,000 hotspots on our app which I’m sharing with everyone. You can record your own hotspot, keep it to yourself, or share it with friends. When you catch a fish, you can take a picture of it through our app and save it for yourself, or let all the other app users see your catch. You can even text our pros with specific questions and we will respond to you within 48 hrs….all to help you catch more fish!